Rae Crowther Hooligan Tackling Ring - Rae Crowther Co.Rae Crowther Co.
A coach or player rolls the ring and the player tackles the ring in motion. The concept comes from the rugby world. Work the new “Hawk” tackling concepts. Hit and roll. 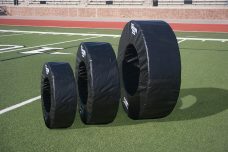 Improve tackling technique with speed, agility, and head position. Intended for many ages. The Varsity Ring is intended for players 5′ and taller. Can be used with or without pads. 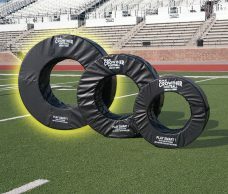 The rolling ring provides realistic tackling which allows the coach to diagnose the player’s technique. 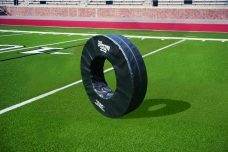 Use multiple rings in practice to keep the repetitions and players moving and improving their skill. 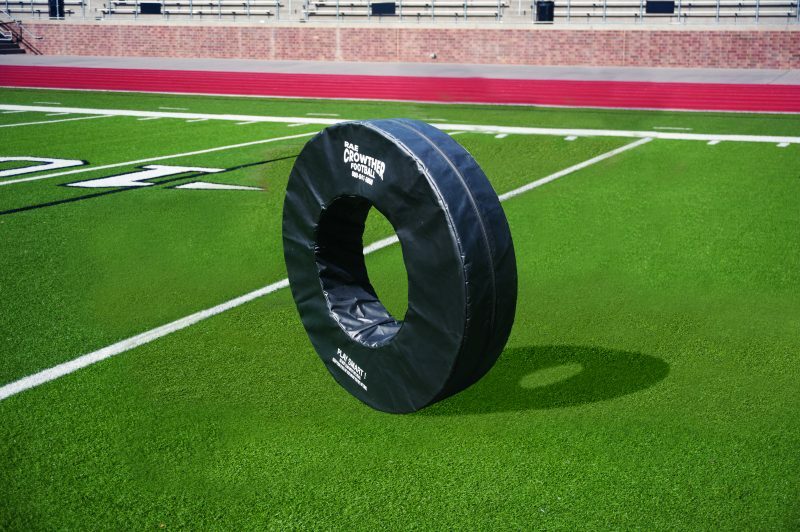 The Tackling Ring is made from foam and vinyl. 10” wide x 46”1/2 dia. x 24” inside dia. x 16 lbs. Ships motor freight. 2 year warranty. 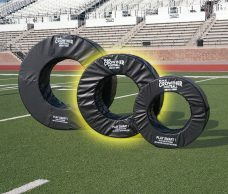 TACKLING RING SPECIAL DEAL – BUY 2 VARSITY TACKLING RINGS GET 1 HOOLIGAN RING FREE!